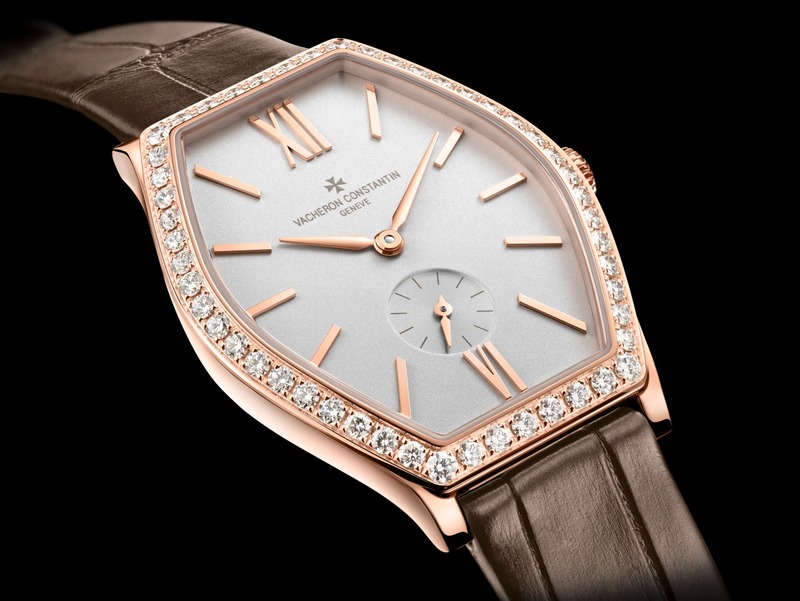 The new Vacheron Constantin Malte tonneau-shaped fine watchmaking timepiece in three new ladies models and a new white gold men's model. Three pink or white gold models assert their style through an understated approach focused firmly on essentials: reading off time as a daily companion and a night-time confidant. Its slender curves are a celebration of femininity. The pure, refined and supremely classic lines are imbued with a delightfully modern touch and radiate a particularly sensual aura when accentuated by sparkling diamonds. 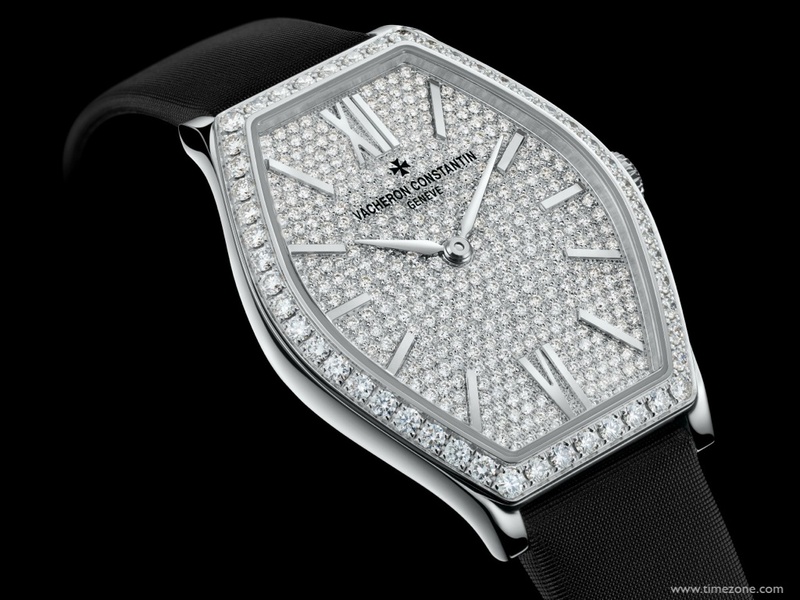 A bezel rimmed with a row of diamonds; a sandblasted silver-toned dial or a face entirely paved with 370 round-cut diamonds totalling approximately 1.20 carats; a pair of slim hands... The Malte small models speak women's language right the way through to the strap secured by an optionally gem-set half Maltese Cross-shaped pin buckle. The applied gold Roman numerals, as well as the hour and minute hands and the small seconds hand on the non-set version, adopt a slender aesthetic that is discreet, contemporary and exquisitely feminine. The new Malte small models come in a curving 28.30 x 38.75 mm case making a perfect fit on the daintiest wrists and housing a mechanical hand-wound movement, Calibre 1400. 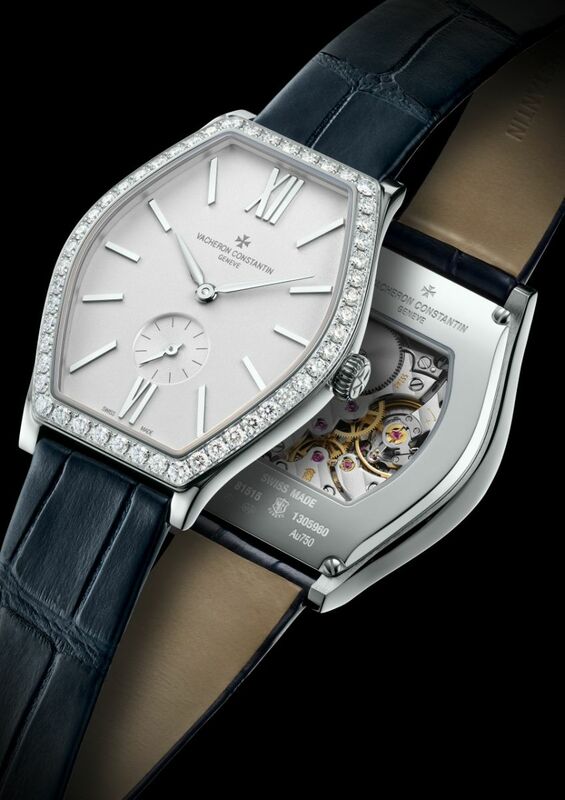 Developed and crafted by Vacheron Contantin, the latter may be admired through a transparent tonneau-shaped case-back echoing the shape of the case. A strap in Mississipiensis alligator leather or satin prolongs the feminine appeal of this model right the way through to the diamond-set or non-set half Maltese Cross-shaped pin buckle. 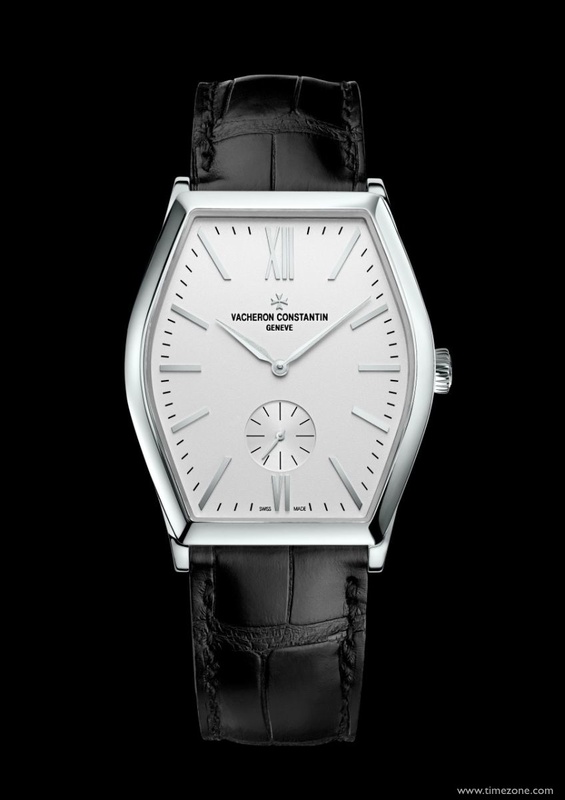 The Malte collection for Vacheron Constantin also welcomes an exceptionally understated white gold model displaying the hours, minutes and small seconds at 6 o'clock, and stamped with the prestigious Hallmark of Geneva. Above and beyond appearances, creating a pure watch embodying the simplest possible horological expression is an extremely subtle exercise in achieving a perfectly proportioned balance. 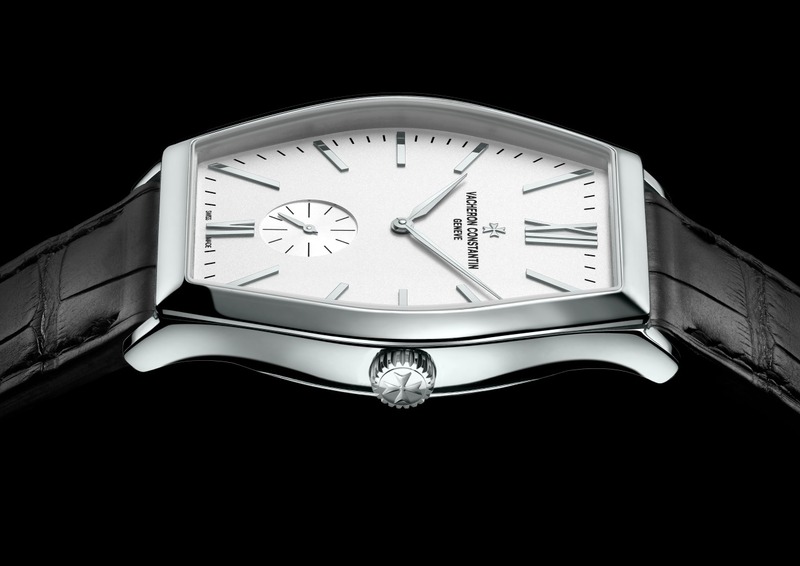 This men's model stemmed from this desire to offer a traditional timepiece of which the simplicity is equalled only by the refinement of its harmonious curves. It appears in an 18K white gold 36.7 x 47.6 mm case. The hour-markers and the Roman numerals at 12 and 6 o'clock, the collection's signature features, are also crafted from white gold and have been redesigned to hug the new curves of the tonneau case. 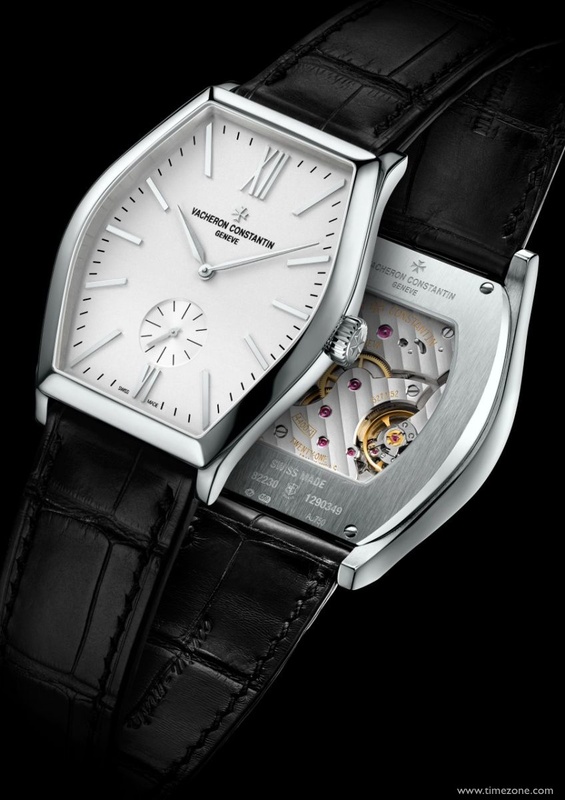 The hour, minute and small seconds hand are steadily driven by Calibre 4400AS, which may be admired in action through the transparent case-back shaped to match the case. Acknowledged for the meticulous care lavished on ensuring its reliability as well as its exceptional finishing, it bears the Hallmark of Geneva, a symbol of horological expertise and excellence. This new model in the Malte collection is fitted with a black Mississipiensis alligator leather strap secured by a white gold buckle shaped like a half Maltese Cross.